I fell for this dish so much that I want to make it quite often. 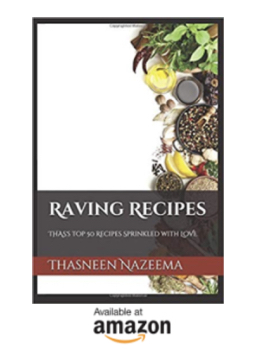 Absolutely easy to make meal which tastes spectacular. This is totally my kind of dish, easy to whip up and comforting to the soul. I marinated the chicken with rosemary and thyme, these herbs flavored up the chicken greatly, it turned out to be aromatic and flavorful. Couscous has been one of my favorites, it goes along with literally anything and is cooked in a matter of seconds. To the browned onions I added red pepper and walnuts, sautéed well and cooked the couscous in chicken stock. It was a blast of flavors to this simple dish. 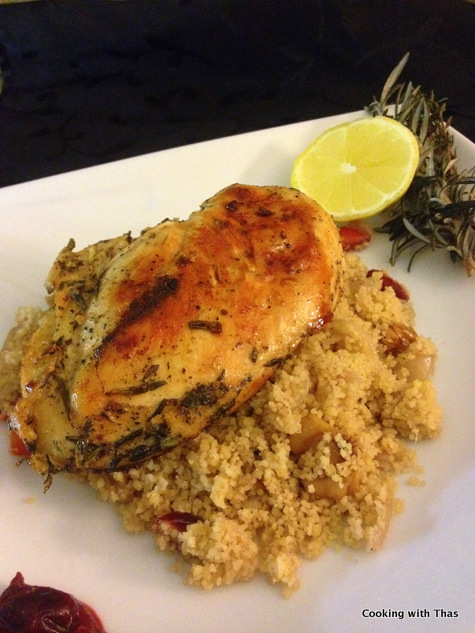 Pan fried herb chicken served over flavorful couscous, all you have to do is dig in and enjoy the flavors. Spread the herb marinade over the chicken breasts and keep aside for 15 minutes or longer if you want. Melt butter or add olive oil to a wide non-stick pan. Sprinkle some ground pepper over the marinated chicken breasts. Place the marinated chicken breasts on the pan, cook covered till the water from the chicken has evaporated. Open the lid and brown the chicken on both sides. While the chicken is pan frying, prepare the couscous. Heat a saucepan over medium heat, add butter. Add whole cardamoms, cloves and bay leaves, saute for a few seconds. Add onions and salt, saute till onions turn translucent. Add garlic, saute till onions turn golden in color. Add red pepper and walnuts, cook till red pepper turns slightly tender. Add chicken stock, let it come to a rolling boil. Add couscous, combine well, cover the saucepan and remove the pan from the heat. Let the couscous stand covered for 5 minutes. After 5 minutes, using a fork combine the couscous well. 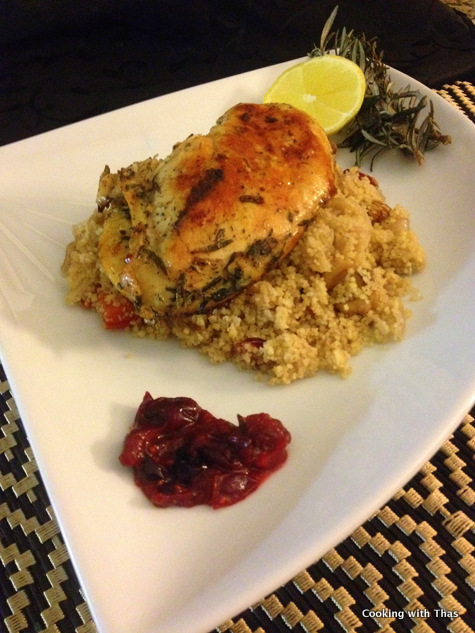 While serving: Make a bed of couscous on a plate, place the pan fried herb chicken over it and serve. If you want you could even serve roasted or steamed veggies with this.